Alessi's Garybaldi Tin all-purpose box was designed by Job Smeets and Nynke Tynagel, who turned an ordinary item into something special. The Studio Job Garybaldi Tin created two all-purpose boxes in different sizes made of tinplate with a refined and detailed decor. In the boxes you can store different things and the boxes themselves make themselves great on every table and in every shelf. 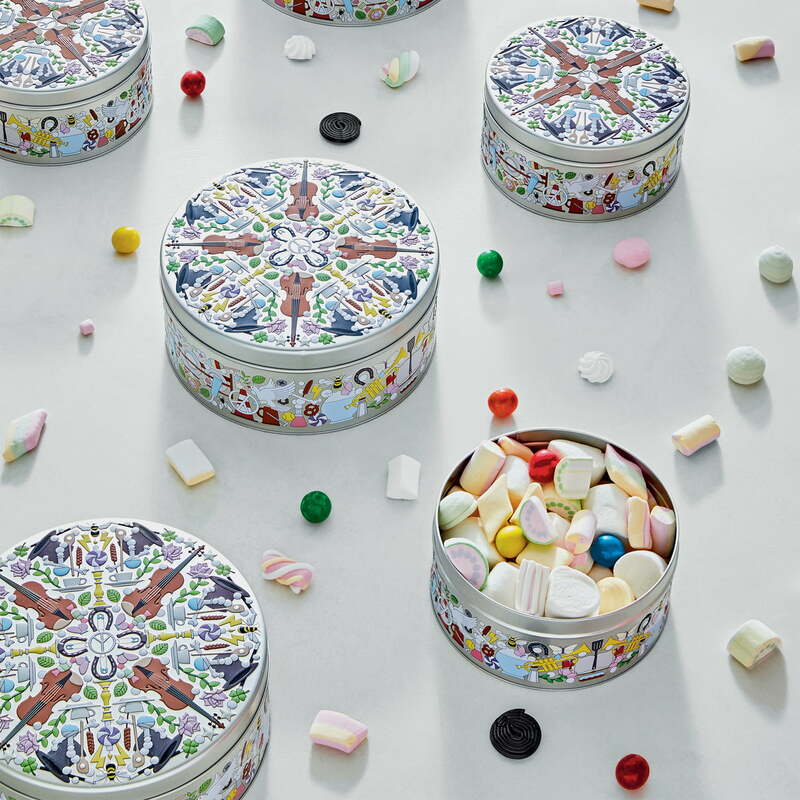 The Garybaldi Tin are boxes whose name is a tribute to the first metal cookie jars produced in the United Kingdom during the visit of the Italian general in 1854. The Garybaldi Tin all-purpose box in set of 2 by Alessi. Studio Job Garybaldi Tin has created two all-purpose tinplate boxes in different sizes with a refined and detailed decor. The Garybaldi Tin all-purpose boxes in different sizes in a practical set of 2 by Alessi. 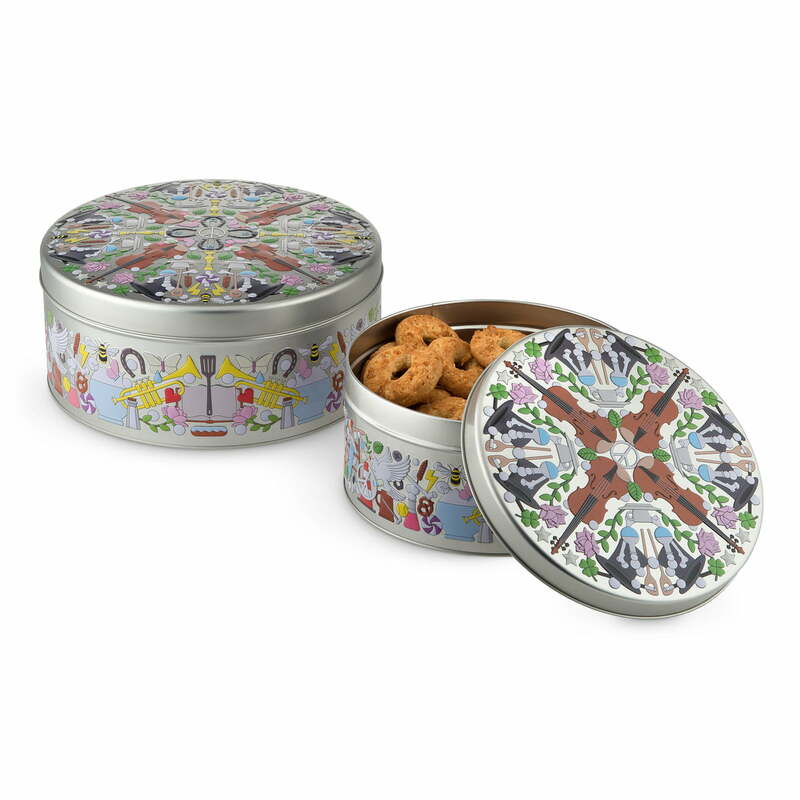 The tins are ideal for biscuits and other pastries, for example. In the Garybaldi Tin all-purpose boxes from Alessi you can store various things and the boxes themselves make themselves great on any table and in any shelf.